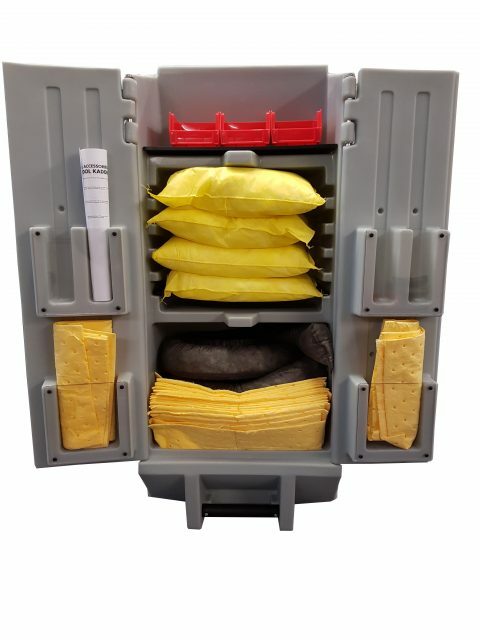 The Multi Purpose Kaddie is the pinnacle of tool and supplies storage and transportation. 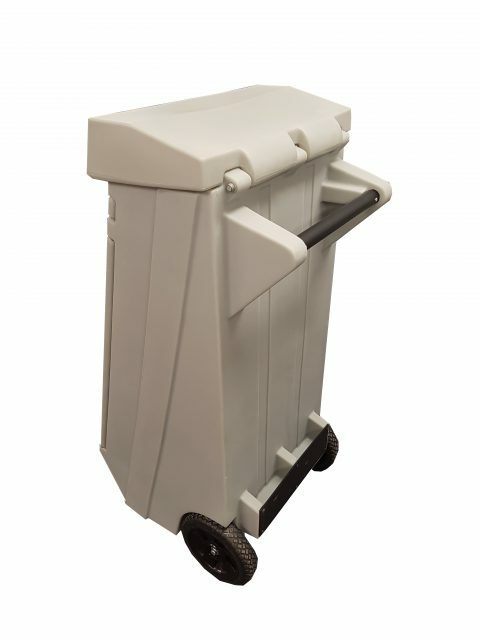 Beginning with a durable double wall polyethylene construction, the Kaddie is smartly designed withtechnicians, installers, mechanics, contractors, emergency workers and everyone else who needs a highly organized and transportable solution. 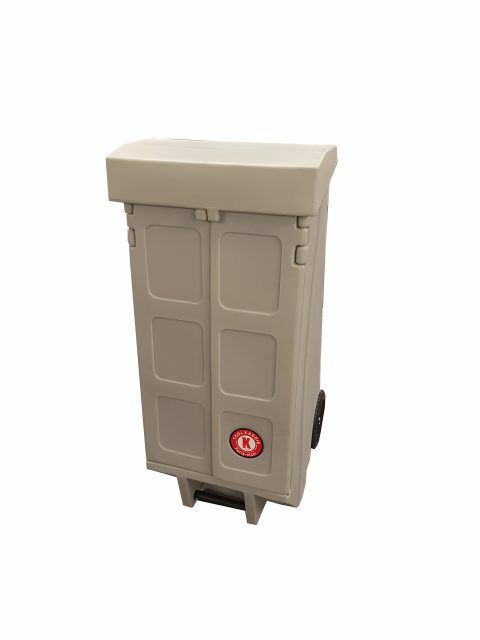 The Kaddie is designed to hold 16 sq.ft. of tools or equipment perfect for PPE. 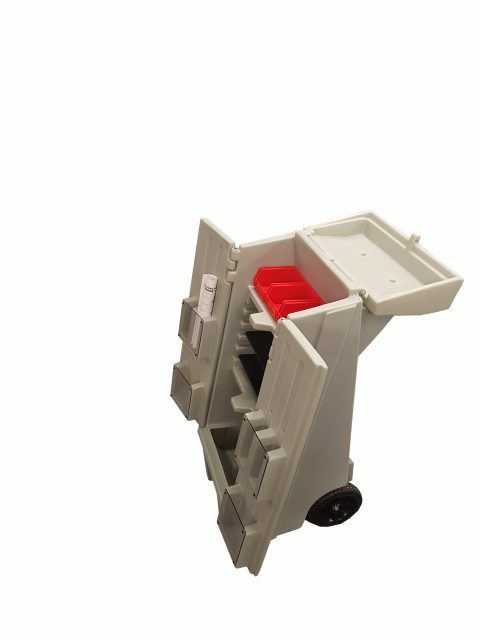 With built in shelves, bins and tool holders this amazingly rouged tool cart is the perfect solution for the meticulous minded mechanic or technician. It’s solid main framework sites on a solid steel axle with high impact polyethylene wheels. Store, lock and move tools easily with the new portable tool box. 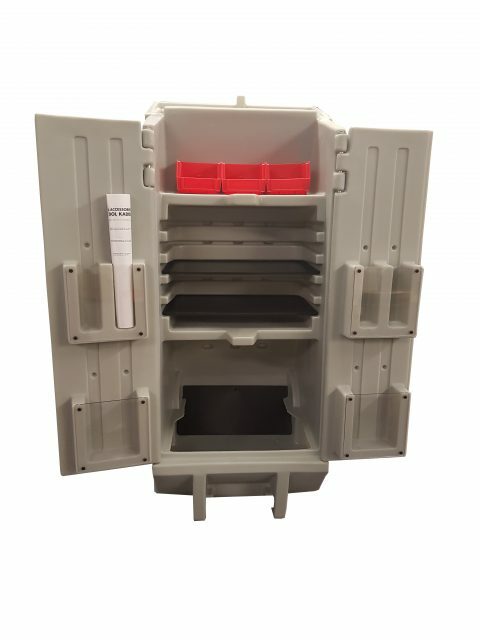 High volume tool storage and transport. Removes the strain of carrying tools and parts. Easily Modified For User’s Specific Needs.